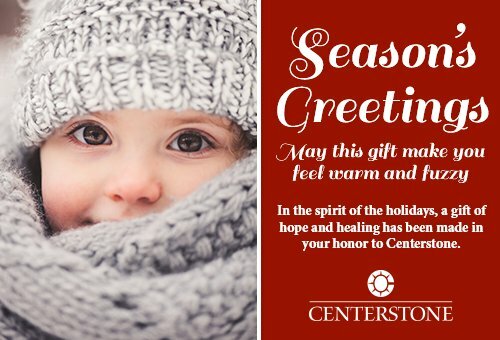 Your gifts matter to the children, adults and families Centerstone serves by enhancing treatment opportunities, removing barriers and instilling hope. Thank you for your generous gifts that help Centerstone deliver care that changes people’s lives! Mobile Play Therapy Kits to equip school-based counselors and family resource specialists with innovative resources to enhance their work with children and families. Support groups for military families through Centerstone Military Services, helping them navigate the unique pressures and challenges related to deployment, PTSD and grief. The development of a new children’s health home clinical model, so that we can continue to close the science-to-service gap and deliver the most effective care for the children and families who come to us for help. 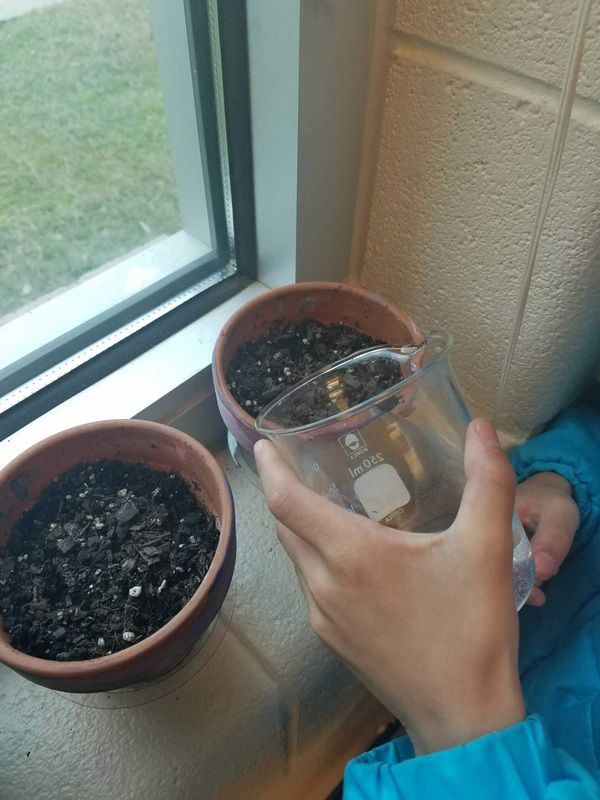 An indoor gardening initiative to help kids strengthen their social and emotional skills while tending to their plants in a school-based counseling program. Purchasing yoga materials for outpatient offices to improve client wellness. Cleaning a client family’s home after a flood to help them stay in the community and continue therapy services. Providing emergency food, travel and housing assistance for countless clients who faced difficult choices between continuing therapy and meeting basic family needs. Paying for prescription and medical co-pays when clients faced unexpected financial emergencies. Charitable donations to the Centerstone Foundation enhance and support Centerstone’s mission to deliver care that changes people’s lives. 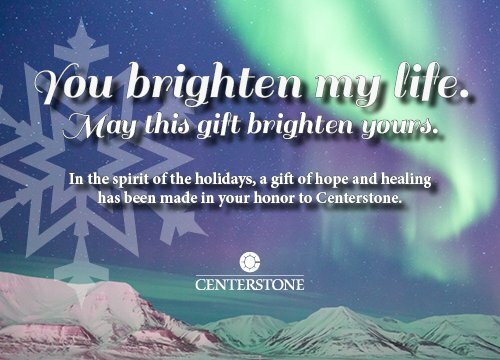 Your gifts can be directed to support specific designations within Centerstone or to our area of greatest need, which allows Centerstone to provide care when, where and how it is needed most. For any questions related to charitable giving at Centerstone, please email the Foundation or call (615) 463-6645. Centerstone Foundation’s Federal Tax ID is 26-1186476. 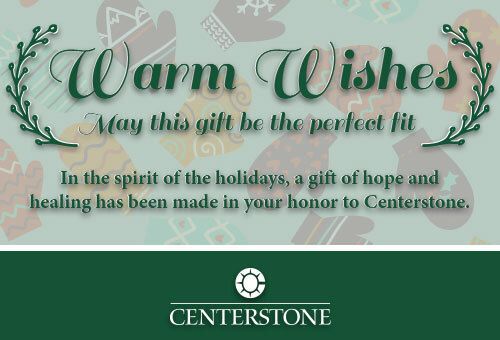 Here are some ways to give to Centerstone to support the service or research that has touched you or your loved ones. Online donations are an easy way to make a contribution to the Centerstone Foundation. Thank you for giving. In-kind donations can help Centerstone help our clients recover from emergencies and meet their treatment, recovery and vocational goals. To ensure that we can appropriately use your gift of donated materials, please first contact a Foundation gift officer. We can help determine how your gift can be used best and where to make your donation. This holiday season, honor a colleague, loved one or friend by sending a card or e-card to your honoree(s) or have a special card sent to their home address to let them know about your gift – just donate online. When purchasing from Amazon, simply start your shopping at AmazonSmile. When you designate Centerstone as your charitable recipient, .05% of the price of your eligible AmazonSmile purchases will be donated to Centerstone. Gifts of appreciated securities, such as stock, bonds or real estate that you have owned for at least a year, provide a double tax benefit. You receive an income tax charitable deduction for the value of the property and avoid capital gains tax that would have been owed had you sold the property. Gifts of real estate are subject to inspection and approval prior to acceptance. For questions, or to initiate a stock gift, please email the Foundation or call (615) 463-6645. Instruct your IRA custodian to make a distribution directly to the Centerstone Foundation. For more information about planning and completing an IRA Rollover gift, you may indicate your interest on this form or email the Centerstone Foundation directly or call (615) 463-6645. Planned gifts can maximize the impact of your gift, minimize your tax obligations and meet your individual needs. Centerstone is prepared to work with you directly or in partnership with your financial advisor to help you fulfill your philanthropic goals. All donors with planned giving commitments are welcomed into the Sapphire Society, which honors the generosity and commitment of those who have chosen to create a lasting legacy to Centerstone. You can become a member of the Sapphire Society by making a gift to the Centerstone Foundation through a planned gift commitment. Learn more about Planned Giving at Centerstone or send us your specific questions via this online form. Any gift can be a tribute gift by requesting that a notification be sent to the person you are honoring, or to family members of the individual you are remembering. To learn more about Gifts in Tribute, email the Centerstone Foundation or call (615) 463-6645. Thank you for your generous gifts to the Centerstone Foundation! Your support makes possible our support, delivering care that changes people’s lives. During Ramona’s 29-year tenure, the Centerstone organization has grown from a small, Nashville-based agency to a national multi-state, multi-tiered organizational enterprise serving over 180,000 individuals annually. Ramona previously served as Executive Vice President for Marketing, where the marketing team received numerous recognitions. The 2002 Centerstone branding campaign was named a finalist by the Nashville Business Journal for the Center for Nonprofit Management’s Salute to Excellence Awards. 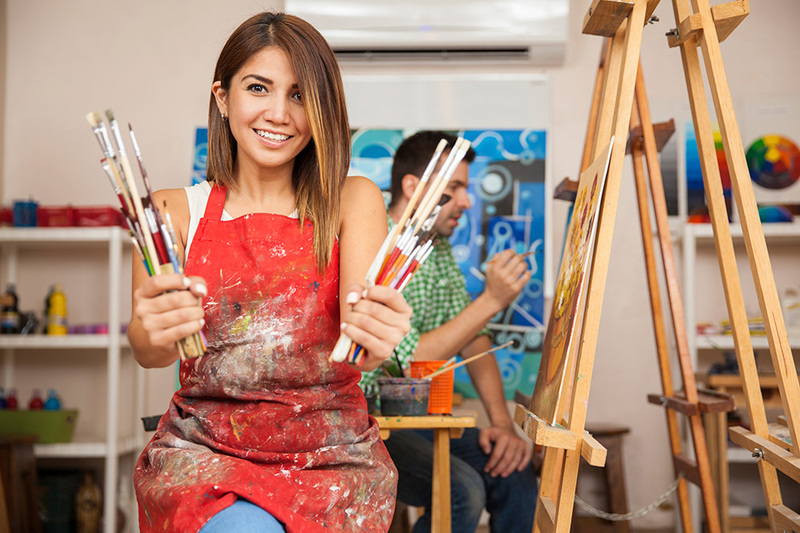 Multiple advertising campaigns and publications have also received marketing and communication awards over the years, including several Telly and Addy® awards for creative excellence. She was also named a Health Care Hero in 2011 by the Nashville Business Journal. 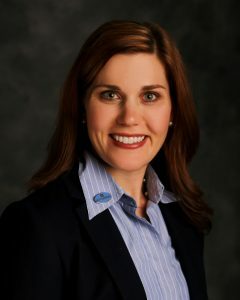 Ramona holds a bachelor’s degree from Lipscomb University in Nashville, Tenn., and is a member of the American Marketing Association and Association for Healthcare Philanthropy. She is married with two children (son and daughter) and two granddaughters. She has been with Centerstone since 1989, and is based in Nashville, Tenn.
As Foundation Administrative Officer, Nancy manages the Foundation’s Administrative Services team, coordinates the management and execution of donor record and donation processing, assists in the development of the Foundation budget and strategy, facilitates board and employee giving campaigns, assists in policy development and monitoring, and is liaison to various Centerstone teams in developing, aligning, and implementing processes, plan, and staff development. 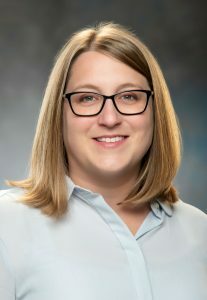 During her career at Centerstone that began in 2002, she has served as Quality Improvement Assistant (Indiana), Executive Assistant to the CEO and Liaison to the Board of Directors (Indiana), and Leadership Project Manager (Indiana, Strategic Planning, and the Foundation). In her role as Leadership Project Manager, she reported to the Chief Strategy Officer and collaborated in project objectives, such as the strategic plan and the development and implementation of Centerstone’s Leadership Academy. Nancy began her current role as Foundation Administrative Officer in 2015. Nancy earned a Master of Management – Non-Profit from Lipscomb University in 2017, having previously earned a Bachelor of Arts in General Studies from Indiana University, and a Certificate in Organizational Leadership & Supervision from Purdue University. In addition, she is a certified provider of the Myers-Briggs Type Indicator and has been trained in Lean Sigma and Carver Policy Governance. She is married with two sons, three grandchildren and a puppy named Trixie. Nancy is based in Columbus, Ind. C.F. Callihan II joined Centerstone in 2017. 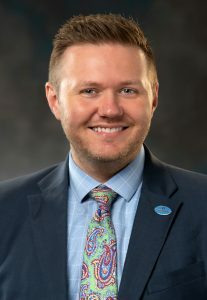 He leads a team of fundraisers and is responsible for securing philanthropic contributions for Centerstone’s Military Services, Research Institute and for clinical services for Centerstone in Tennessee. His team is focused on building impactful relationships with individuals and other institutional funders, raising awareness and funds through special events, annual giving and special campaigns. Prior to joining Centerstone, C.F. led fundraising efforts for Louisville Ballet increasing contributed annual revenue from $1.8M to $2.5M. He previously held positions in fundraising at the University of Louisville, Indiana University Jacobs School of Music and the Music Academy of the West. C.F. holds a Master of Philanthropic Studies from the Indiana University Lilly Family School of Philanthropy and a Bachelor of Arts in French and International Economics from the University of Kentucky. He is the father of a spunky Border terrier named Rigby. C.F. is based in Nashville, Tenn.
Neely Sims joined the Foundation team in 2017. She is responsible for working with Senior Directors and Directors of Advancement to research, identify and apply for foundation grant opportunities. She focuses on developing strategies to increase Centerstone’s philanthropic funding and enjoys the challenge of identifying new opportunities for such a large organization with diverse program offerings. Before joining Centerstone, Neely served as Grants and Research Manager for a Nashville-based education technology company. She started her career working for Volunteers of America Southeast, writing federal and foundation grants to develop housing for low-income seniors and individuals with disabilities. Neely has a Master of Social Work and certificate in Nonprofit Management from the University of Georgia and a Bachelor of Arts in Sociology from Auburn University. She enjoys gardening and taking walks with her husband, son, and dog, Guinness. Neely is based in Nashville, Tenn.
As Director of Advancement, Jocelyn Popit works to implement the plan and strategy for annual and major giving programs with a focus on those for Centerstone in Illinois. Her work builds on identifying new prospects as well as increasing the renewal rate and giving levels of current donors to grow the philanthropic giving in Illinois so that the current and long-term financial needs of Centerstone are met. Relationships are at the center of her efforts: working with donors, employees, board members, volunteers, corporations, foundations and others to foster growth of Centerstone’s impactful services and organization as a whole. Jocelyn has been with the agency since 2014. With a background in both fundraising and marketing, she joined the Marketing team and built relationships with referral partners to spread the reach of Centerstone’s services in Illinois. 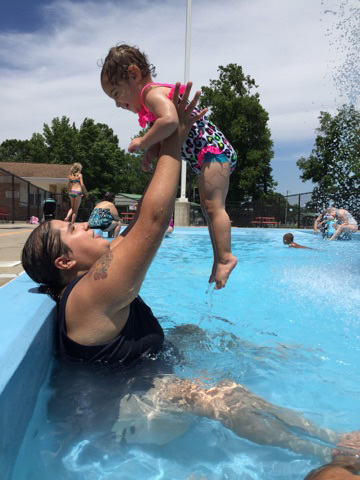 As the spring transitioned to summer in 2018, Jocelyn facilitated a transition to Centerstone’s Foundation team, where she focuses now on dollars directly raised to make the implementation of programs and client care possible. Jocelyn has a Bachelor’s degree in English and a Master’s in Education, both from the University of Notre Dame. She and her husband attempt to keep up with the active pace of life with their son and daughter; at the end of the day, she feels most overwhelmed with gratitude for the people and experiences she has had through her childhood in Southern California and her adult life in Indiana, Italy, Louisiana, Missouri, and now Illinois. Jocelyn is based in Carbondale, Illinois. Beth Rodriguez is responsible for executing the strategic fundraising plan for Centerstone in Indiana and key initiatives for Centerstone’s Foundation. 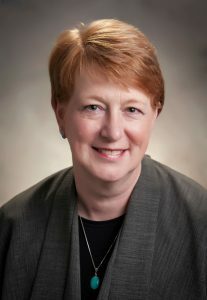 Beginning her tenure in late 2011, Beth developed Indiana’s first organized and comprehensive development program including the CARES employee giving program and internal distribution program which now allows philanthropic revenue to be used directly by staff to immediate impact and improve the lives of the clients in our care. She focuses on growing an annual and individual major giving effort along with managing a large portfolio of local, regional and national foundations to enhance and grow new and existing programs throughout the state. She leverages this network of funder relationships to build social capital and valuable community relationships throughout the State’s footprint and beyond. 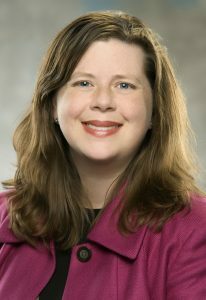 Additionally, Beth shares her extensive development and fundraising knowledge with new generations of nonprofit leaders as Adjunct Faculty at Indiana University’s School of Public Health. She holds an MA in Philanthropic Studies from the Lilly Family School of Philanthropy at Indiana University and is an active Rotarian.